In response to the rising popularity of Spray Foam (SPF) insulation, researchers at University of Massachusetts announced they are conducting a study to evaluate exposures associated with the use of products that contain reacting chemicals – think isocyanates and epoxies– and controls that reduce exposures to these chemicals in construction during the installation of actual spray foam insulation installs in houses throughout Massachusetts. The partnership is with Mass Energy Lab Insulation, a Boston-based insulation company that designs and installs insulation solutions in homes. 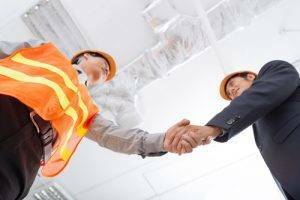 As part of the study, Mass Energy is giving the university access to numerous job sites and insulation personnel to assess exposures to and develop recommendations for safer work practices for installers, bystanders and occupants. “It’s about working together to create a seamless, safe insulation install,” said a Mass Energy Lab Insulation spokesperson. To read about the dramatic upswing in sprayfoam insulation’s popularity, as well as learn reasons why you should consider teaming up with a spray foam equipment provider, check out our new e-book today.